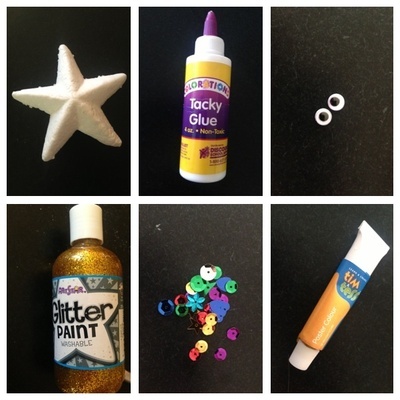 This is a fun hands on activity for young children particularly those with an interest in sea life. My 3 year old son had been asking me to help him make a starfish ever since we saw one at the beach, so this was a perfect craft for him. 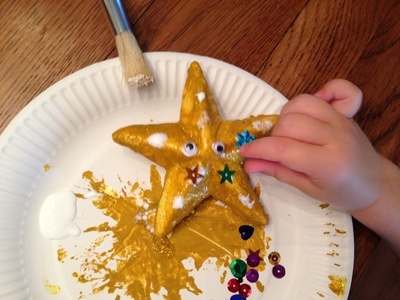 Time: 15 minutes in total (but you also need to allow a few hours drying time after you have painted the starfish). This is a craft in two parts. 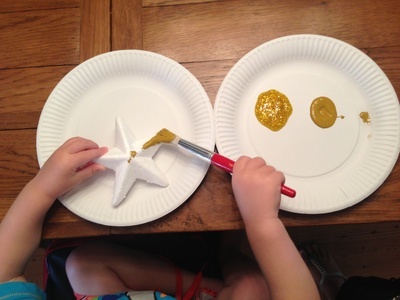 Take your star and paint both sides of it with the yellow paint. 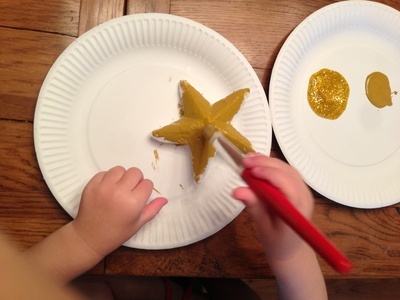 Once you have a good covering (and it need not be perfect), go over the paint with the glitter paint. Once you have done this, leave it to dry. Dependant upon the paint you have used, this may take an hour or two. Hint: Have some wet wipes on hand as little hands invariably get a bit messy picking up the starfish to turn it over to paint both sides. 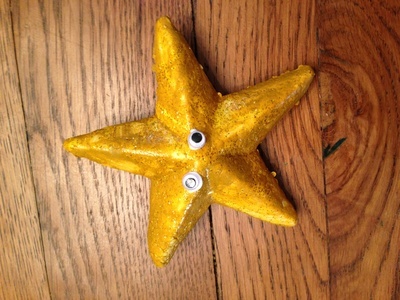 Once the starfish is dry to touch, apply two blobs of glue in the centre of the star so that you can apply the goggly eyes. 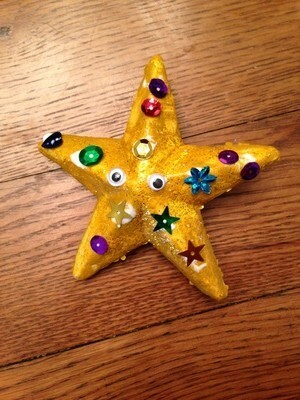 Now, dot glue all over the starfish, and add on sequins to give your starfish an extra sparkly finish. Once you've got your starfish looking beautiful, just set aside to dry. The 'white' of the glue will dry clear after about an hour. Extra optional step: If you'd like to hang the starfish, an adult could easily grab and needle and thread to push through the starfish to create a hook. 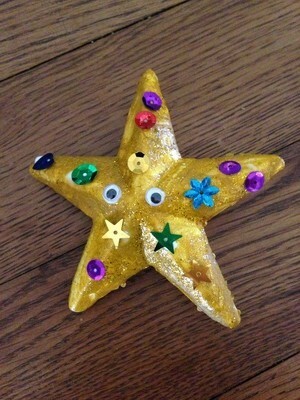 The starfish could then adorn a door knob, a picture hook, even a Christmas tree.